As the banking BPO industry shifts from arbitrage-first to digital-first model, buyers increasingly seek to understand the digital capabilities of service providers to eliminate/reduce human effort, improve efficiency, and drive better outcomes. While individual digital components (such as Robotic Process Automation (RPA) and analytics) are important, the impact is much higher when they are integrated and implemented collectively as a suite. 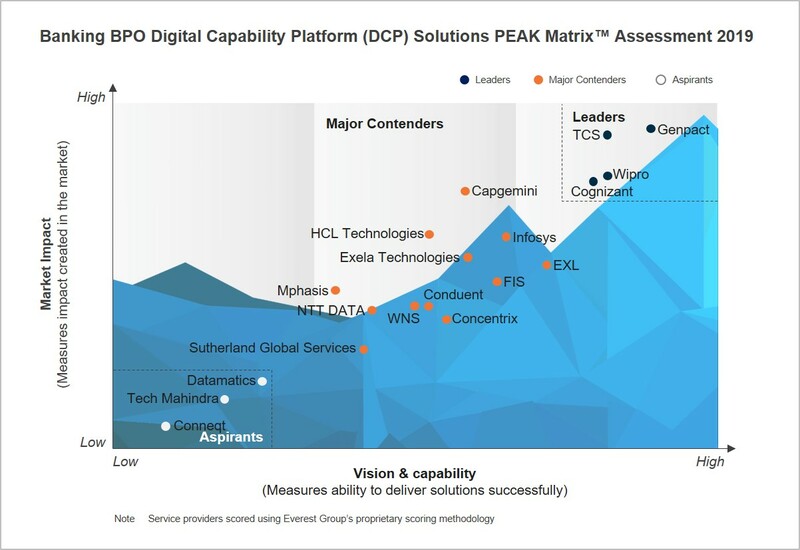 Such a solution suite is referred to as Digital Capability Platform (DCP). The purpose of this research is to understand and assess service providers based on the suite of solutions offered by them in the banking BPO market.